Mspin capabilities include full relaxation matrix of NOESY/ROESY cross peaks intensities, scalar couplings (Karplus and Altona equations), analysis of ab initio computations, and analysis of NMR properties in aligned media and paramagnetic systems such as RDCS, RCSAs, pseudocontact shifts, and residual quadrupolar couplings. 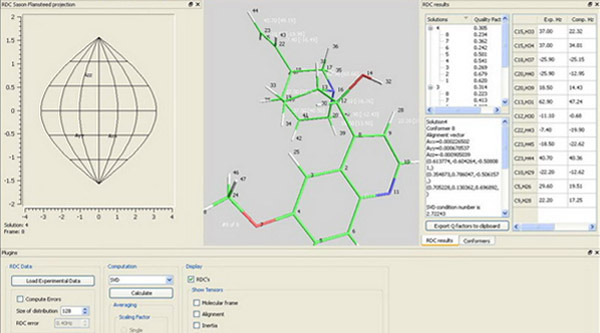 An integrated platform for the prediction and analysis of several NMR properties. Download MSpin for a suitable Operating System. Open MSpin and go to ‘Help/Get-Install Licenses’. Select ‘Evaluate’. Predict NMR properties that are essential in the stereochemical analysis of small molecules. MSpin-CST: Analysis of ab initio (DFT, MP2,…) computations from packages such as Gaussian09, Orca, or NwChem. Chemical Shifts and scalar couplings can be easily filtered by type and visualized. A module for the prediction of NOE/ROE intensities from single structures or conformational ensembles using the full relaxation matrix method. 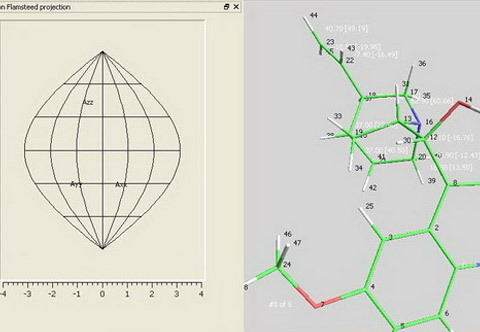 A chemically intelligent module for the prediction of scalar couplings from 3D structures with the possibility of deployment of new parameters sets and even full equations through a rich chemical information API. A tool to help you in the analysis of ab initio prediction of NMR data such as chemical shieldings, scalar couplings or magnetic susceptibilities.